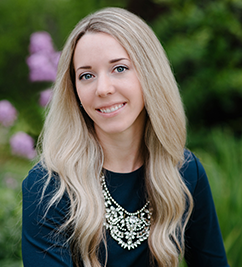 Kelly Wickersham is a research associate at the Wisconsin Center for Education Research (WCER), where she is part of a research team on the Expanding STEM Talent and Contextualize to Learn projects sponsored by the National Science Foundation (NSF). Dr. Wickersham received her doctorate in Educational Leadership and Policy Analysis from the University of Wisconsin-Madison in 2017. Kelly’s research interests focus on qualitative and mixed methods exploration of community college student pathways, mobility, and success in higher education, as well as community college STEM education, experiences, transfer, and completion. Wickersham, K. (2019). Where to go from here? Toward a model of two-year college students’ postsecondary pathway selection. Community College Review. Wang, X., & Wickersham, K. (2019). Women, community colleges, and STEM careers. New Directions for Institutional Research, 2019(179), 71-88. Wang, X., Wickersham, K., Lee, Y., & Chan, H. -Y. (2018). Exploring sources and influences of social capital on community college students’ first-year success: Does age make a difference? Teachers College Record, 120(10). Wang, X., Wickersham, K., & Sun, N. (2017). The evolving landscape of transfer research: Reconciling what we know in preparation for a new era of heightened promise and complexity. New Directions for Institutional Research, 2017(170), 115-121. Wickersham, K., & Wang, X. (2016). What’s life got to do with it? The role of life experiences in shaping female community college students’ transfer intent in STEM fields of study. Community College Journal of Research and Practice, 40(12), 1001-1012. Wang, X., & Wickersham, K. (2014). Postsecondary co-enrollment and baccalaureate completion: A look at both beginning 4-year college students and baccalaureate aspirants beginning at community colleges. Research in Higher Education, 55(2), 166-195.